Search and adopt a Shiba Inu near you. Spirited boldness, a good nature, and an unaffected forthrightness, which together yield dignity and natural beauty. At times the Shiba Inu is aggressive toward other dogs. Thinking of bringing a Shiba home? If so, it’s probably worthwhile to read up on the breed first! 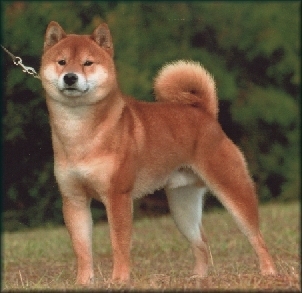 Want to learn more about the Shiba Inu? We will be highlighting 11 different facts on the breed. Shibas have a very high prey drive due to their hunting instincts. If kept with small pets, there is a risk that they can be attacked.Given the fact that they were bred for hunting, it’s not surprising to know that they have a very high prey drive. Often in alert mode, they will chase small animals such as squirrels and rabbits without hesitation—even if it means jumping the fence. Considering this, you probably don’t want to keep them with small pets such as birds, rats, or guinea pigs. Depending on the individual dog, they may or may not be compatible with cats. Remember, even if they appear to get along, there is always a risk of predatory drift (a phenomenon in which something “clicks” that puts them into predatory mode). Shibas are prone to reactivity. Depending on the individual dog’s personality, they may or may not get along with other canines.Reactivity can be a problem with Shiba Inus. While many are friendly, some may be aggressive towards other dogs, especially if they feel that their personal space has been invaded. In addition to their iffy relationship with other canines, they can also be prone to resource guarding. Fortunately, this behavior can be minimized with proper training. If you want a dog that will be able to get along with other humans and animals, the best thing you can do as an owner is to socialize, socialize, and socialize (more on that later). Shibas are smart and know how to push your buttons. Training may be challenging, especially for novice owners as they can be fairly stubborn. Shibas are notoriously stubborn. For instance, many will only listen if bribed with treats. If there’s nothing in it for them, forget it. It’s not that they don’t understand what is expected of them, they’re just smart enough to choose when exactly they want to obey. Essentially, everything is on their terms. If you want your Shiba to come when called, you better have a piece of chicken ready in one hand! Shibas should not be let off leash as they have a tendency to chase after small critters such as squirrels. Only in a secure, fenced-in area such as a dog park, should they be allowed free run. Shiba Inus should never be let off leash. Given their high prey drive, there is a real possibility that they will run off chasing a squirrel. Before you know it, they’ll be a few blocks away and impossible to call back (their lack of recall definitely doesn’t help). Not only can they get lost, but there’s a chance of them being hit by a car. Even in a fenced-in backyard, you should always keep an eye on them to make sure that they’re not getting into trouble. Socialization is key to a well behaved Shiba. Exposing them to a variety of situations at a young age will help them to become confident as adults. As you probably already know by now, Shibas are not the friendliest by nature. While this may be true, their disposition can be improved through socialization. Vital for social development, it means exposing your dog to as many scenarios as you can—ideally when they’re still puppies. Hopefully, by the end of it, they’ll be able to feel more comfortable around other animals and people. While it doesn’t “fix” their aloofness per se, it definitely helps. Be prepared for lots of shedding. Regular brushing helps to minimize the amount of loose fur that comes out when they are blowing their coats. Seeing as how they’re double-coated, it’s only natural that they shed—a lot. In fact, you might even think that you have a second dog when they’re blowing their coats. Sure, it only happens twice a year, but don’t forget—there’s also regular everyday shedding. As a Shiba owner, it’s perfectly normal to have your belongings covered in a thin layer of dog fur. While it will be an uphill battle, you can minimize the amount of loose hair with occasional brushing (whether or not they will like it, however, is an entirely different question).